With the drop in temperature and the nights getting shorter I can’t stop feeling that next winter is not too far away. Thoughts come into my mind as I have time to reflect. 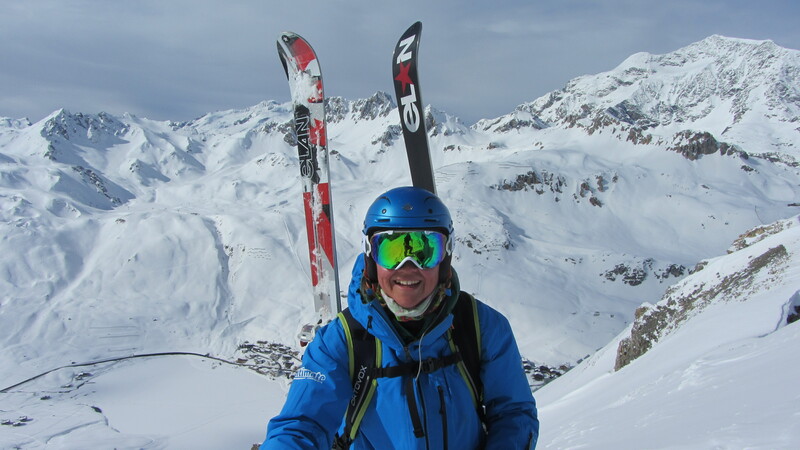 I ponder on ideas of how I can improve on last winters ski teaching and guiding in the Espace Killy! How can I improve on my ski lessons? 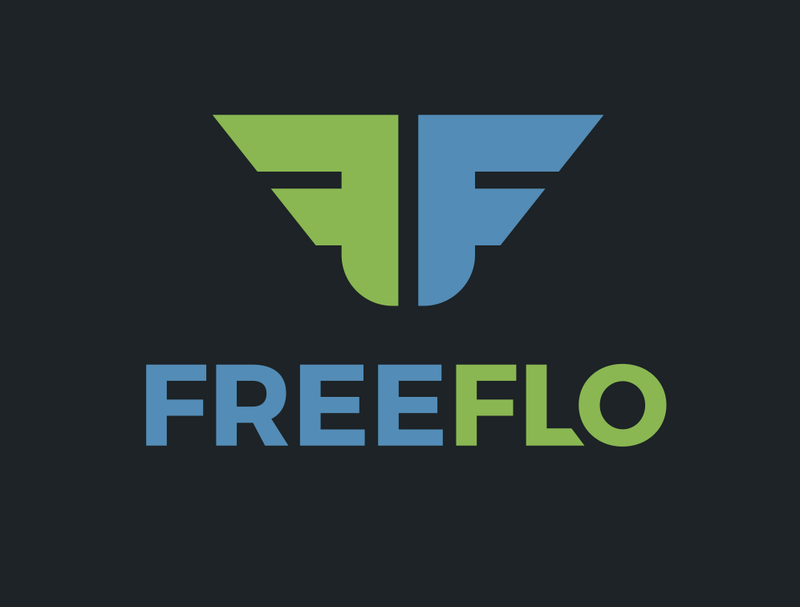 Which courses to run? 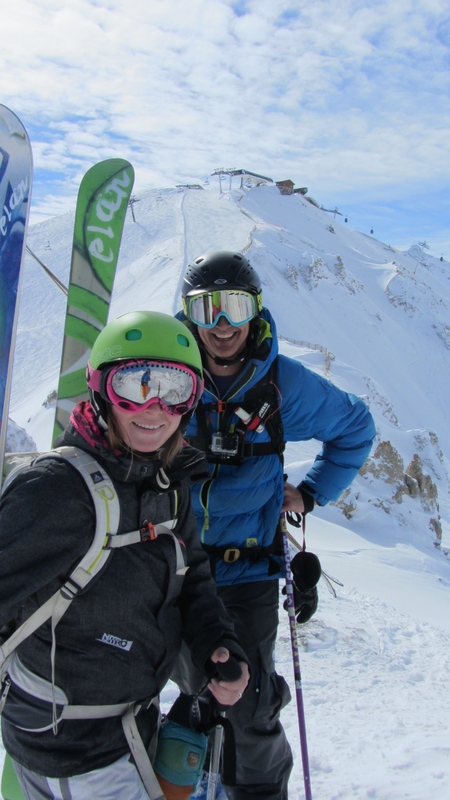 Popup chalets?This video is just a few of my fond memories of ski teaching in Tignes,Val D’Isere and Sainte Foy last season 2013/14 and the ski lessons that I had with some great people . 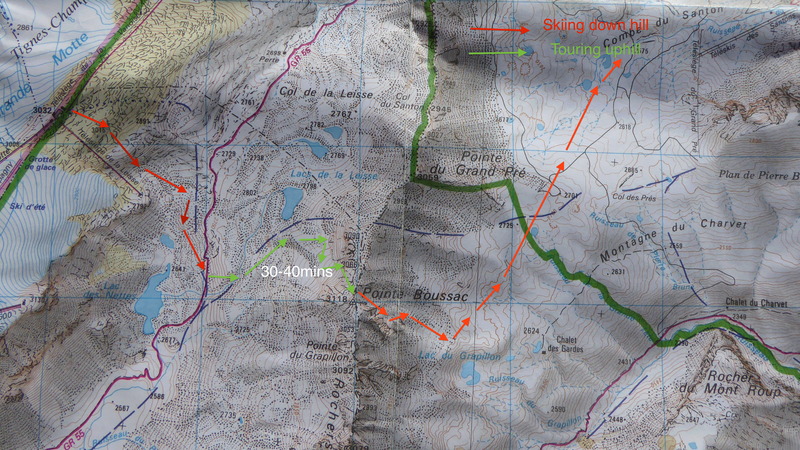 Heli skiing in reverse- Mickeys Ears to Lac Chervil Tignes, France . [youtube=http://youtu.be/VyZyvBH2JLE] My first time in a helicopter was being thrown in the back of one with a broken leg. The experience wasn’t what I imagined and one that I would like to forget. A mixture of great pain and excitement that I was flying. It was my most expensive ride and journey back of my life. 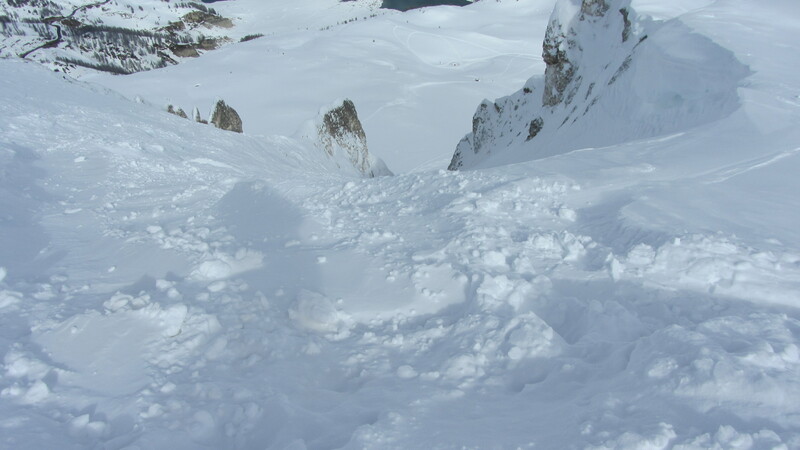 Now in 2014 in Tignes I can put two passions together skiing off piste and then taking a Helicopter out. 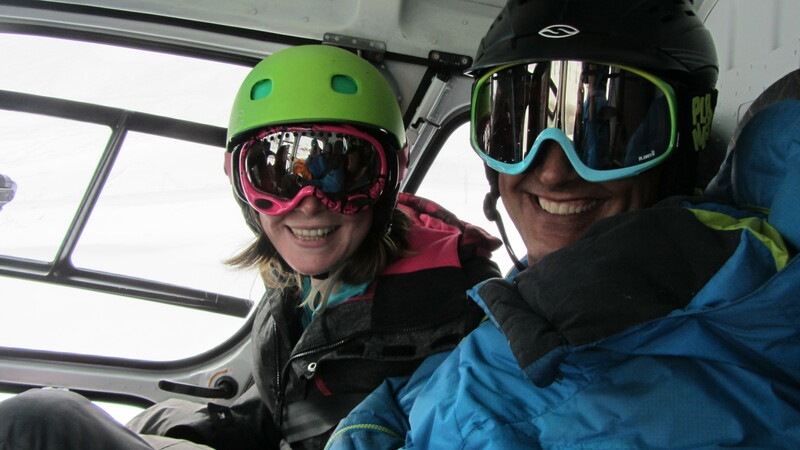 Being a BASI L4 ISTD Ski Teacher and guide and with the helicopter training I can now explore new places and take a helicopter back to resort with friends and clients. 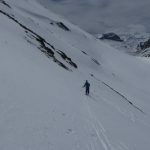 There was no better way than to start my Heli adventures than the ski down from Mikeys ears to Lac Chervil in Tignes France. 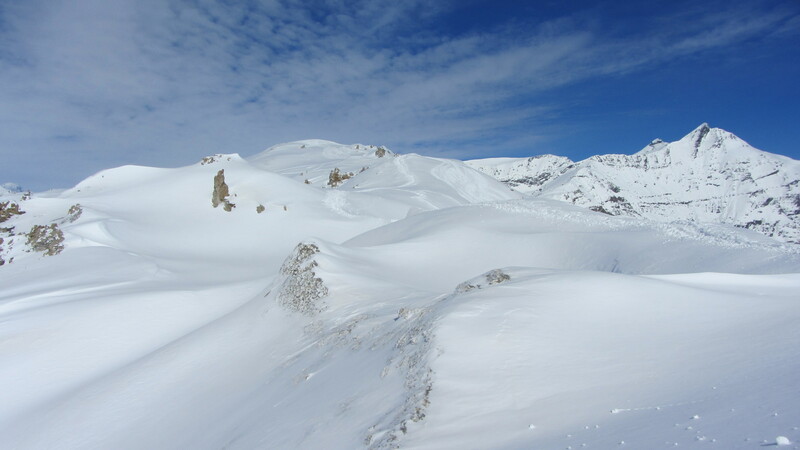 For fit people it takes a 15 minute hike along a ridge to then get your skis on for a short traverse. 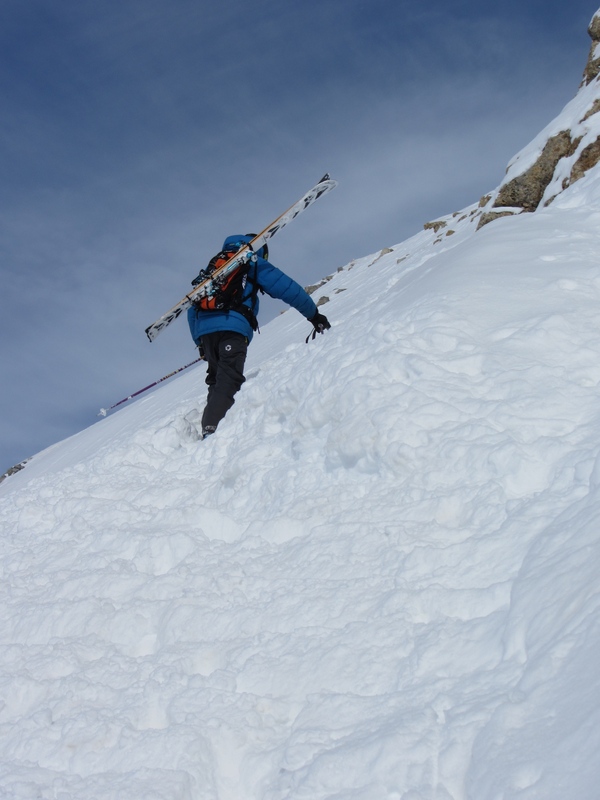 A short steep hike up then follows to the top of Mikey’s ears where you have to keep balanced on your feet and in a small space put your skis on. 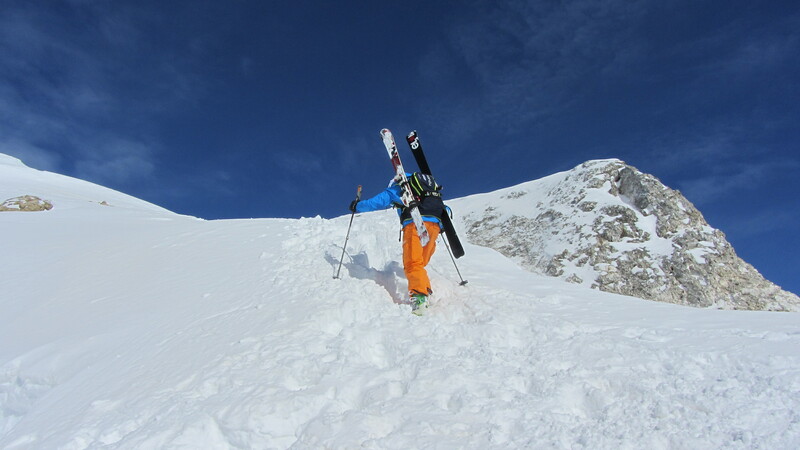 Thats when you have to switch your skiing head on. 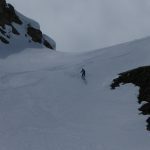 You then ski down keeping right and enter the main entrance of the couloir which is around 80m in length and averaging 6-10m wide. 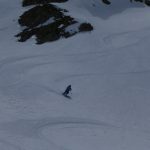 You then exit out into a fresh untracked bowl and aim for the tree line. 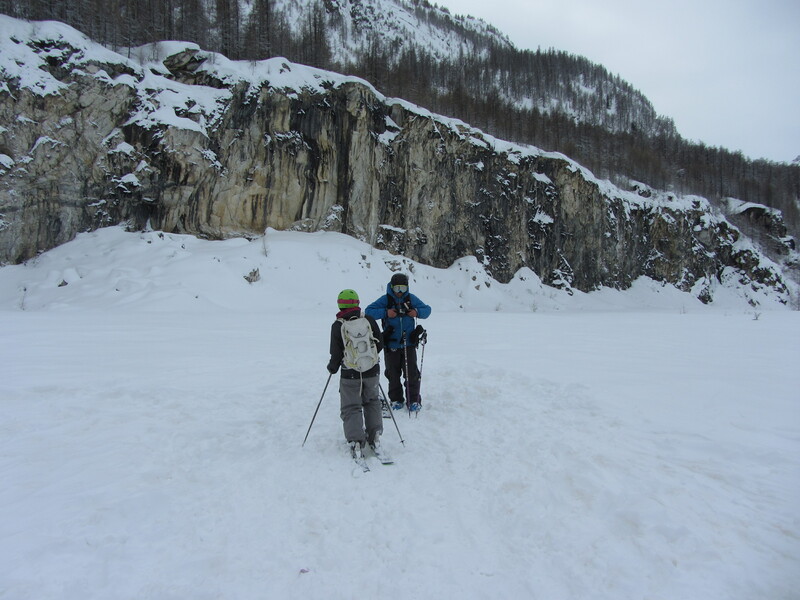 You ski a steep pitch through the trees and then join a footpath which then leads into a quarry where you get a Heli copter out. What an amazing experience. I can’t wait for the next Heli adventure.